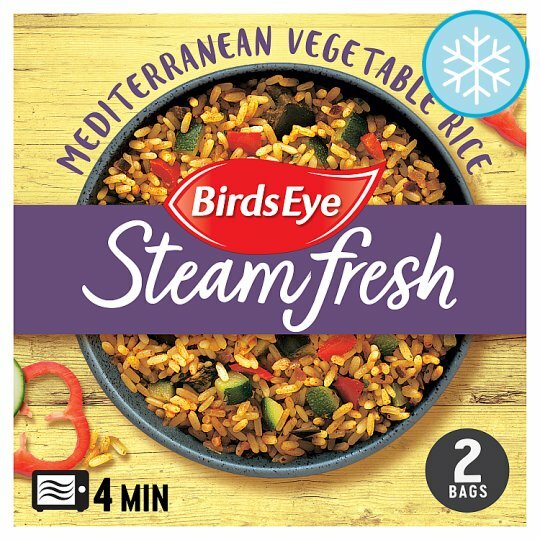 Steamed Long Grain Rice with Mediterranean Style Vegetables and Seasoning. Cooking Instructions (General): Please ensure food is cooked until piping hot. Microwave (From Frozen): Microwave straight from the freezer.